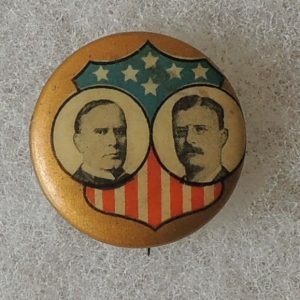 Running Mates: 1896-Garret Hobart; 1900-Theodore Roosevelt. 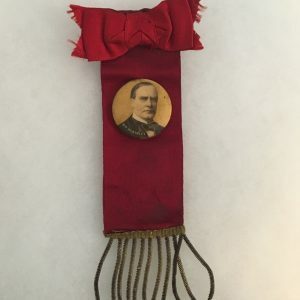 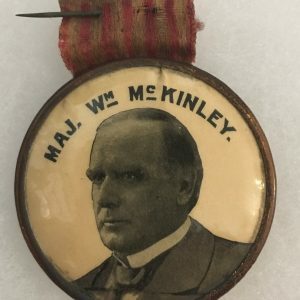 For those collectors who want a celluloid campaign button from each president and major party candidate, William McKinley and 1896 is where it all starts. 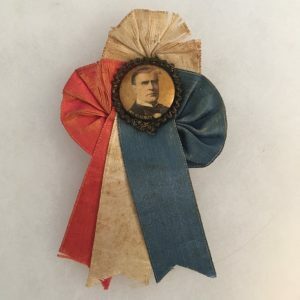 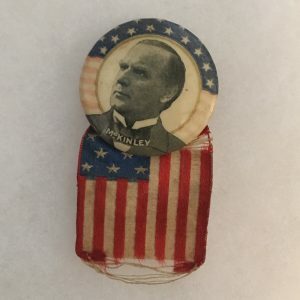 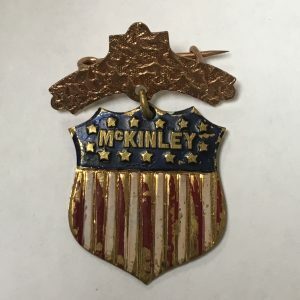 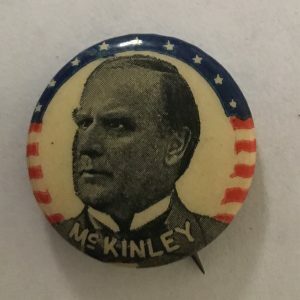 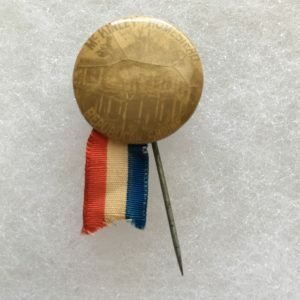 As with all presidents/candidates who run more than once, since McKinley ran for re-election in 1900, distinguishing between an 1896 and a 1900 button is not always easy. 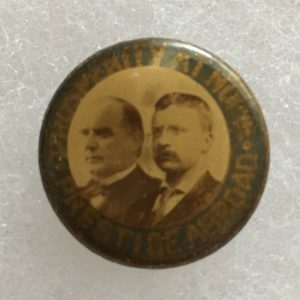 The one way you can be certain without having a date on the buttons is if it pictures either of McKinleys VP running mates. 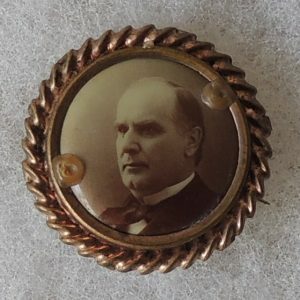 If it is Garrett Hobart, then it is an 1896 button. 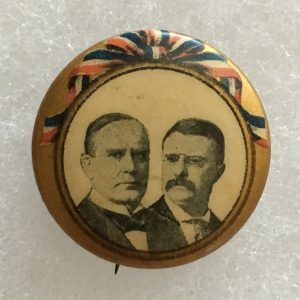 If it is Theodore Roosevelt, then it is a 1900 button.